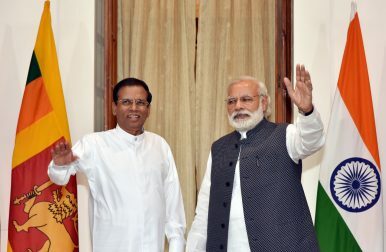 India’s Prime Minister, Narendra Modi, has been relatively quiet when it comes to Tamil issues in Sri Lanka, although now would be a good time for the prime minister to reconsider his low-key approach. Modi visited Sri Lanka in March 2015, the first time an Indian prime minister had traveled to the island nation in nearly thirty years. He even went to Jaffna in the country’s north, a symbolically significant move. During the visit, Modi spoke about devolution and the need to go beyond the 13th amendment to the constitution. He is expected to visit Sri Lanka later this year too. S. Jaishankar, India’s Foreign Secretary, recently concluded a visit to Colombo. During that time, he met with members of the Tamil National Alliance (TNA) and the Tamil Progressive Alliance (TPA). “This visit did not receive wide publicity in the media. It was not a front page story,” notes Jehan Perera, executive director of the Colombo-based National Peace Council. Given that India is a nuclear weapon state, which fields one of the world’s largest armed forces and spends upwards of $40 billion annually on defence, one cringes at accounts of our seemingly inept handling of yet another terrorist attack. Equally disheartening is the fact that, eight years after 26/11, we lack the ability to deter the architects of this attack, and the will to punish its perpetrators. Download PDF file of "U.S.-India Insight February 2017"
In his February 1, 2017, Budget Speech, Finance Minister Jaitley stated that “further liberalisation of FDI [foreign direct investment] policy is under consideration and necessary announcements will be made in due course.” The announcement begs the question—which sectors still have policy limitations on FDI? For this month’s Insight, we review the 16 sectors that still have limitations on foreign investment and possible candidates for liberalization this year. During its first three years in office, the Narendra Modi government has moved quickly to liberalize foreign direct investment rules. In some cases, the reforms were fairly sweeping and comprehensive, such as in railways and merchant coal mining. Other moves were incremental, such as shifting the approval method from the Foreign Investment Promotion Board (FIPB) to the automatic route under the Reserve Bank of India. Some reforms have been rather ambiguous, particularly defense and single brand retail, which allow for higher foreign equity with certain, poorly defined technology characteristics. In other cases, “poison pills” have somewhat eroded the value of the step, such as limiting foreign control while increasing the FDI cap in insurance. India’s progress in lifting foreign equity restrictions, paired with India’s relatively high growth rates and Prime Minister Modi’s personal courtship of investors, has resulted in a solid spike in FDI. Per the Reserve Bank of India’s data on fresh equity (not counting reinvested earnings), FDI inflows totaled $47.5 billion in 2016, up 18 percent over 2015. Looking at the 2016 “ Consolidated FDI Policy,” as well as the six “Press Notes” issued in 2016, there are 16 sectors with explicit FDI restrictions (a few more if you count niche sectors like “Chit funds” or “Nidhi” lending firms). Afghanistan and Pakistan experienced one of the most heinous stretches in their recent past this February. The Afghan Supreme Court was targeted on February 7, leaving 21 people dead including nine women. Then a suicide bombing on February 11 in Laskar Gah, the center of Helmand province, caused death and injuries to over a dozen people. In Pakistan, on the other hand, a suicide bomber attacked senior police officials in front of Punjab Assembly in Lahore during a demonstration on February 13 — 16 people, including three top police officials, lost their lives. The deadliest of all these attacks took place on February 16 in Pakistan’s Sindh province, when Lal Shahbaz Qalander Sufi shrine was targeted in the Sehwan area. That attack killed over 80 and more than twice as many were injured. The last attack, in Sehwan, made the Pakistani military furious. They decided to take radical actions while pointing the finger at Afghanistan as the hideout for the attackers. As a result, the Pakistani government closed border crossings, including the key points of Torkham and Chaman, assuming that this would restrain terror outfits from traveling into Pakistan. Afghan embassy representatives in Islamabad were summoned in an uncharacteristic manner by Pakistani military headquarters, which handed over a list of 76 suspected terrorists believed to be hiding in Afghanistan and demanded action from Kabul. 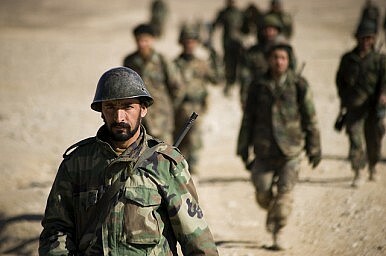 In the meantime, the Pakistan Army started shelling Afghan territory under the pretext of targeting terrorist sanctuaries in the vicinity of the Durand Line, the line separating two countries. The spokesperson of Pakistan’s armed forces also said that General Qamar Javid Bajwa, the chief of army staff, telephoned General John Nicholson, commander the the Resolute Support Mission in Afghanistan, asking him to support a crackdown on the operation of terror outfits from Afghan territory. Lt. Gen. John Nicholson, who commands the American-led international military force in Afghanistan, recently made headlines when he called for “a few thousand” more troops and a deeper American commitment to the fight in Afghanistan in testimony before the Senate Armed Services Committee earlier this month. Terrorism involving nuclear or radiological materials remains one of the gravest threats to humanity and to global stability. It was a central concern throughout President Obama’s tenure, with efforts to harness international initiatives coming to the fore at the Nuclear Security Summits. The incoming administration, however, should take a fresh look at a region of the world that hosts two states with nuclear weapons and a serious terrorism problem: South Asia. Analysis on South Asia tends to occur in silos that focus on either nuclear risks or terrorism risks; fewer studies investigate the overlap between the two. But we've mapped the geography of high-risk locations and violence by non-state actors—that is, the target threat environment—in South Asia’s two states with advancing nuclear weapons programs, India and Pakistan. The low probability but high potential cost of an incident of nuclear or radiological terror merits greater attention from citizens and policy makers alike, and the requisite means, motive, and opportunities for an incident of terror via weapons of mass destruction or disruption converge in South Asia. The upcoming Summit on Countering WMD Terrorism, to be hosted by India in 2018, offers an opportunity bring attention to the issue. But preparations must begin well in advance of that summit, if the slow-moving machine of bureaucratic change is to be turned to address the institutional and governance problems India and Pakistan exhibit in regard to countering WMD terrorism. Is China’s Counterterrorism Policy in Xinjiang Working? The Chinese regime implemented a comprehensive panel of security measures in Xinjiang, built on the twin assumptions that Islamic terrorism was the most prominent security threat to the Middle Kingdom and that its roots were to be found in the Uyghur ethnic minority. Those security measures include the intervention of the People’s Liberation Army (PLA) and various paramilitary organizations such as the People’s Armed Police (PAP) and the Xinjiang Production and Construction Corps (XPCC). It is important to note that the PLA remains an institution controlled by Han Chinese and that although Uyghurs can enroll, there are in fact very few of them in senior military posts. 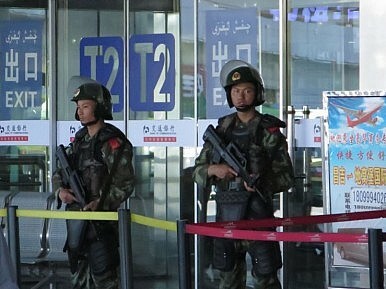 As for the PAP, the Chinese government stresses that one of its most prominent roles is to “hunt down the East Turkestan terrorists.” The number of guards on duty everyday nationwide within the PAP is now up to 260,000. Subtle hints that Beijing’s new mobile ICBM is operational are widely ignored in frenetic Washington. Browsing a highly reputable bookstore the other day, I was somewhat surprised to come upon a pile of books set for display in a prominent location near the cashier titled Nuclear War Survival Skills: Life-saving Nuclear Facts and Self-help Instructions. Figuring the volume was sure to be some sardonic humor related to our contemporary national predicament, I was a bit disturbed to see that it was more than three hundred pages, chock full of intricate diagrams and checklists assembled by “revered civil defense experts.” Maybe I’m not the only one who stays up late watching Chinese news programming? Peering into my phone on the night of January 25, I was perturbed to see my customary Chinese talk show about diplomacy 今日关注 (Focus Today) focusing on the South China Sea, but also alluding to an image of a very large transport erector launcher in the middle of a map showing northeast China. To be sure, most of the show focused on the White House spokesman’s recent characterization of the South China Sea issue: “Yeah, we’re going to make sure that we defend international territories from being taken over by one country.” Now, it’s not unusual for that particular show, which features retired People’s Liberation Army Navy Rear Adm. Yin Zhuo on most days, to discuss the latest developments regarding the South China Sea. But it is unusual for the show to discuss Chinese nuclear weaponry, and especially to connect these developments to the evolution of the situation in the South China Sea. The “Russia Scare” Coalition: ISIL’s “Useful Idiots”? Victory by the “Russia scare” coalition will limit America’s ability to fight ISIL, complicate efforts to win UNSC support for tough enforcement of the Iran nuclear deal and give China more leverage over both Moscow and Washington. The turmoil surrounding Lt. Gen. Michael Flynn’s resignation and wider allegations of links between President Donald Trump, his campaign and Russia seems to have made a strong impression in Moscow. Many there had already calibrated initially unrealistic expectations after Mr. Trump’s initial weeks in office; recent events have tempered even these more limited ambitions. Hopes have long faded that Washington would become a Russian ally in Syria, pursue cooperative military action against ISIL, or delink the conflict in Ukraine from the wider U.S.-Russia relationship. Still, until recently, sober voices on Russia’s television talk shows were a clear minority. Arguing that Russia would have to demonstrate its commitment to working with the United States through concrete actions, and that Moscow could not seek a new beginning while continuing to deny its involvement in the fighting in the Donbas and to engage in dangerous close encounters in the air and at sea, was unpopular. In the last few days, however, the optimistic view that Trump will simply “deliver the goods” to Russia has largely disappeared. These were the observations of Frans Timmermans, First Vice President of the European Commission at the Future Force Conference. The elevation of Indian-American Ajit Pai as head of the Federal Communications Commission (FCC) was done and dusted in January. The FCC oversees telecommunications and Internet-related policy formulations for the US. This appointment, unlike other choices by President Donald Trump, does not require further scrutiny by US legislators since Pai (not related to the author) had already been serving as an FCC commissioner since 2012. Pai’s is a very different regulatory agenda from his predecessor’s—the latter stepped down the day Trump was sworn in. Pai claims that he favours a more laissez-faire role for the FCC, and wants to allow the free market to take over in areas where the FCC has previously mandated regulations. He has opposed many of the agency’s reforms during his almost five-year tenure, including the net neutrality regulations passed in 2015. Now, as the new Republican leader of the agency, he is likely to try to erase many Obama-era initiatives. While allowing the free market to take over strikes me as a good idea in general, there are times when a completely laissez-faire approach might prove to be a disaster. Free markets, when unregulated, can lead to monopolistic or oligopolistic practices when participants with greater market power begin to collude. Net neutrality is a regulation that works against collusion on the Internet, and prime among Pai’s targets is the FCC’s 2015 set of net neutrality rules, which re-classified Internet service providers as “common carriers”—in other words, on the same footing as utility firms. Pai opposed the rules then and has gone on record saying that he will attack them now. Could Iran Trigger a Nuclear Tsunami That Wipes Out Israel? The thought of Iran armed with nuclear weapons is terrifying to many, especially its neighbors. The world needs to have a civilized discussion about what it means should the country ever develop the technology. But conspiracy theories about tectonic super-weapons, tsunami bombs and nukes pushed out of the back of civilian airliners foul the air around the conversation. Back on March 3, 2015, Israeli Prime Minister Benjamin Netanyahu spoke before the United States Congress and warned the world of a nuclear armed Iran. The press has written a lot about the speech, even before he delivered it. “Never has so much been written about a speech that hasn’t been given,” Netanyahu said March 2, 2015, during a preview of his speech at the pro-Israeli lobby AIPAC. Some of the stories were more credulous than others. One of the most provocative came from the Israeli military tabloid Debka File, which published an article about how Iran could use a nuclear bomb to trigger a tsunami in the Mediterranean, wiping out Israel in a single blow. The title is frightening enough to get even the most hardened Internet cynic to click. Nukes are scary, yes, but could Iran develop one so powerful that it could cause a tsunami? What did Debka File know that everyone else didn’t? Download PDF file of "Science, Technology, and U.S. National Security Strategy"
A dominant theme of the twenty-first century is the democratization of science and technology (S&T). It is a driving force in global society and pervasive throughout all aspects of human endeavor, to include national security. High-technology weapons are no longer the exclusive domain of only a few nations. Smaller states are expanding their arsenals and infusing advanced technologies into their war-fighting tactics, operations, and strategy. Nonstate actors—from small groups to individuals—also have access to capabilities that in the past have only been reserved for nation-states. In this challenging, technologically informed environment, the U.S. military must continue to ensure a competitive advantage. This report suggests ways to develop a cadre of technologically competent officers with the requisite leadership and operational skills to excel in this fast-paced and ever-evolving environment. It involves a complementary set of selection, assignment, promotion, and military and civilian education opportunities that infuse our next generation of leaders with strategic, creative, and critical thinking attributes to interact effectively between and among the policy, technology, and operational communities. U.S. policymakers need to re-examine their habits of using the military to solve foreign-policy problems. Any nation with vast power will be tempted to use it. In this respect, the United States is exceptional because its power is so immense. Small, weak countries avoid fighting in distant disputes; the risk that troops, ships, or planes sent elsewhere will be unavailable for defense of the homeland generally keeps these nations focused on more proximate dangers. The U.S. government, by contrast, doesn’t have to worry that deploying U.S. forces abroad might leave America vulnerable to attack by powerful adversaries. There is another factor that explains the United States’ propensity to go abroad in search of monsters to destroy: Americans are a generous people, and we like helping others. We have often responded favorably when others appeal to us for assistance. Many Americans look back proudly on the moments in the middle and latter half of the 20th century when the U.S. military provided the crucial margin of victory over Nazi Germany, Imperial Japan, and the Soviet Union. But, in recent years, Americans have grown more reluctant to send U.S. troops hither and yon. There is a growing appreciation of the fact that Washington’s willingness to intervene abroad – from Somalia and the Balkans in the 1990s, to Iraq and Afghanistan in the 2000s, to Libya and Yemen in the present decades – has often undermined U.S. security. We have become embroiled in disputes that we don’t understand and rarely can control. Thus, public anxiety about becoming sucked into another Middle Eastern civil war effectively blocked overt U.S. intervention in Syria in 2013, notwithstanding President Obama’s ill-considered red line warning to Bashar al Assad. 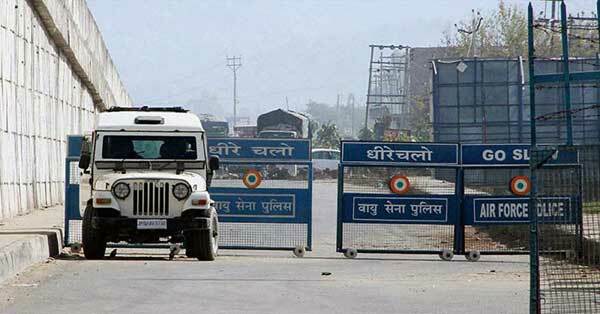 The study and research on civil military relations (CMR) is one area of neglect in India. The general focus is on civil military relations as it relates to the politicians, the civilian bureaucracy and the services. The military leadership must not exceed its limits in terms of restraining from communicating to the media and the public its differences of opinion with the civil leadership. Against the backdrop of the recent sacking of General McChrystal, the US commander in Afghanistan, the DG of IDSA wrote an opinion piece in the print media. In response commentaries and comments have appeared on the IDSA website emphasising the need for a further dialogue on this aspect in the Indian context. Quoting the US experience or literature is common in India. The classic work on the theory of civil-military relations by Samuel Huntington (The Soldier and the State, 1959) is an example. This work is one way of thinking about CMR. It had two methodological assumptions. First, it assumed that CMR in any society should be studied as a system composed of interdependent elements. The second was that “objective civilian control” maximizes military security. However, CMR is a much broader and deeper subject. Srinath Raghavan of the Centre of Policy Research, New Delhi, in the July 2010 special issue of the monthly journal Seminar has commented on another aspect that needs to be further debated. That is on the matter of operational issues and the leading role being played by the services. It is shown that the narrative of civil interference like the one during India’s defeat in the 1962 war is a morality pageant showcased by the military. Citing a number of events from current history, Raghavan shows how the military has carried the day in having its writ written on operational issues such as no withdrawal from Siachen glacier or revoking the Armed Force Special Powers Act (AFSPA). This new insight thus needs to be further debated. The U.S. Army recently announced it would be standing up six security force assistance brigades (SFABs), designed to provide the Army with units specifically trained to work as military advisors. As part of their training pipeline, these advisors will likely receive cultural and language training to facilitate working with their partner forces. They will have to become experts in small unit tactics and maneuver warfare, be comfortable living and eating with their host nation counterparts, and be willing to endure hardships in harsh environments across the world. This type of advisor might sound familiar, because they already exist. As the old cadence goes, “See that man in the green beret? Teaching’s how he earns his pay.” If Army leadership needs soldiers to serve as the, “day-to-day experts combatant commanders need to train, advise, and assist our partners overseas,” why aren’t they turning to Army Special Forces – a unit specifically designed to train, advise, and assist other military forces? Taking a broad look at Special Forces over the last 15 years provides some possible answers to this question. To be clear, the Army should be commended, not criticized, for taking security force assistance seriously and developing a strategy to execute it responsibly. The new advisory brigades represent the Army acknowledging that trying to shift conventional combat units into advisory roles on demand is not ideal. According to the press release, these new brigades will consist of roughly 500 senior NCOs and officers, all of whom are to be trained at the new Military Advisor Training Academy at Fort Benning. Instead of having to deploy paratroopers to train and advise the Iraqi Army, the conventional Army can now turn to specialized advisory units, full of experienced soldiers who chose to be advisors, instead of junior soldiers who joined the Army to be infantrymen. India’s space programme has taken huge strides since its humble beginnings six decades ago. Today, India is recognised as a self-reliant spacefaring nation with capabilities not only in rudimentary missions but in the most complex as well. This book addresses the prevalent policy issues in space and suggests measures to address them. In a world where space exploration and use carry a multitude of roles that range from peacekeeping to forewarning against disasters – Space India 2.0 seeks to serve as a guidebook for the country’s policymakers. Definitions are important at this level of national security, because legally justifiable responses depend upon them being accurate. In the case of cyber warfare, it's not as straightforward as you might imagine. The dictionary definition doesn’t even mention attribution, let alone the clear and unambiguous attribution that would be required for an act of cyber warfare to be declared. Is anyone under cyber warfare attack? The answer, if you go by the dictionary definition, is an unequivocal yes. Along with most Western countries there are concerted cyber-attacks pretty much daily against government organisations and enterprises alike. But are we engaged in a cyberwar? Not according to the 'clear and unambiguous' attribution requirement. We know that Russia and China are developing cyber weapons to use in any future cyber conflict, and the US, France and Israel are just as active as nation states leading the way in this endeavour. But that doesn’t mean we can say any of these countries are using them, although we know they have the capability and have done so in the past. Stuxnet, for example, was a joint venture between Israel and the USA to destroy Iran’s nuclear programme capability. Years ago, it would have been ludicrous to suggest that a single tweet could kickstart a global war. Today, the idea doesn't seem so far-fetched. Just as the digital revolution has reshaped the way people interact on an individual basis, so too has it changed the nature of hostile interactions between nation states. The president of the United States can now whip up panic with a single tweet, and foreign embassies are airing their grievances online, too. But it goes beyond individual messages; the power grid in Ukraine has been repeatedly hacked, allegedly by Russian hackers, which has left whole swathes of Kyiv in darkness. 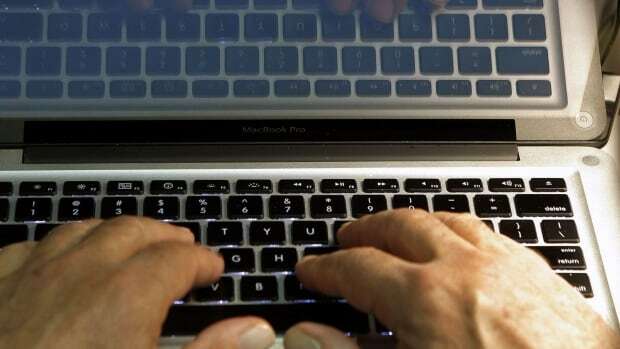 Russian cyber influence also played a role in the U.S. election (through the hacking of the Democratic and Republican national committees and the leaking of select information), which had a tangible effect on both U.S.-Russia relations (the introduction of new sanctions) and questions about the legitimacy of the new Trump government. And last fall, a distributed denial of service (DDoS) attack shut off vast portions of the Internet for most of the U.S. east coast, carried out by what is believed to be independent hackers seeking financial gain. For 24 hours the attack was all anyone could talk about, but when access to popular websites resumed, it was forgotten as quickly as it happened. Along with a steady flow of new missiles, planes and tanks, Russia’s defense minister said Wednesday his nation also has built up its muscle by forming a new branch of the military – information warfare troops. Sergei Shoigu’s statement – which came amid Western allegations of Russian hacking – marked the first official acknowledgement of the existence of such forces. Also this year, three regiments of Russia’s strategic nuclear forces will receive new intercontinental ballistic missiles, Shoigu said. Each regiment has up to 10 launchers. Declaring the formation of the dedicated information warfare troops, Shoigu noted that “propaganda needs to be clever, smart and efficient.” He wouldn’t describe the troops’ mission.